Perhaps we should view Impressionism more as a development of Venetian colorito rather than something radically new? 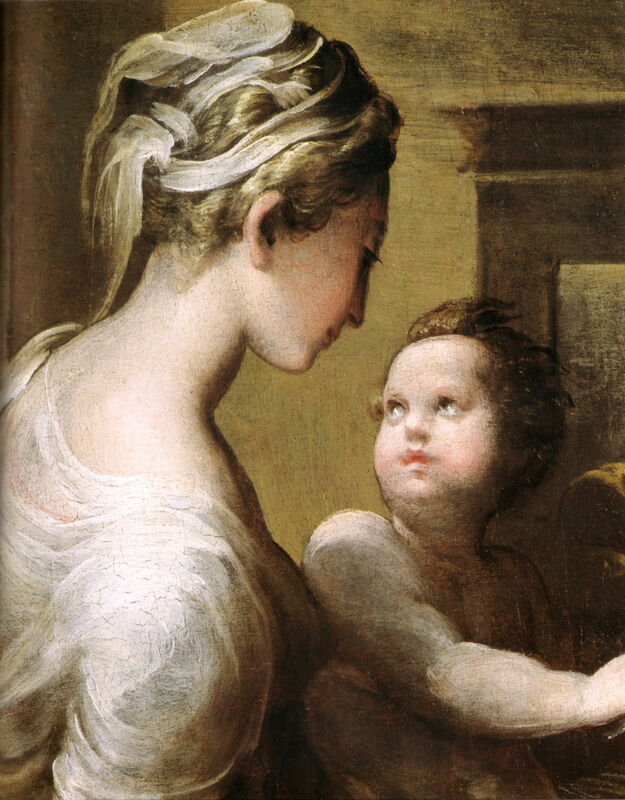 Although Venetian painters are amply confirmed as being painterly – a browse through Salomon’s (2014) book on Veronese alone is a lesson in mark-making – they were not alone in that. Dunkerton et al. (1999) considers several important non-Venetians, and forces a re-appraisal. Dunkerton et al. reinforce the point which I made in the first article in this series, that we need to be very cautious in interpreting what we see today in paintings which were created half a millenium ago. To minimise the risk of interpreting damage and deterioration in the paint layer, they initially confine their attentions to paintings on panels, which should have suffered less mechanical trauma over the years. 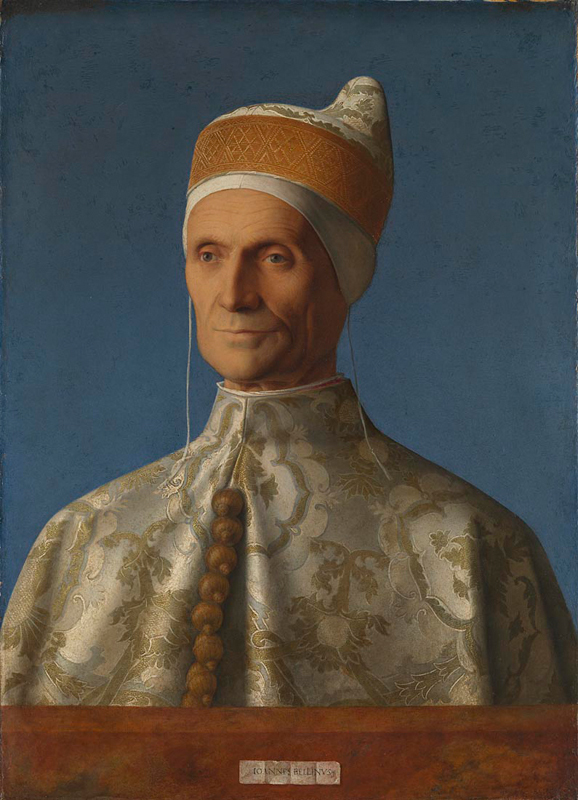 Their first example is of fine impasto work in Bellini’s (c 1430–1516) portrait of The Doge Leonardo Loredan (c 1501): not exactly brushstrokes, but certainly a step in exploring the texture and properties of oil paint. At that time, such impasto was unique to oil paint, and a radical departure from anything which could be achieved by egg tempera or fresco. Giovanni Bellini (c 1430–1516) (workshop of), Madonna and Child with Saint John the Baptist (c 1490-1500), tempera and oil on wood, 76.2 × 58.4 cm, Indianapolis Museum of Art, Indianapolis, IN. Wikimedia Commons. 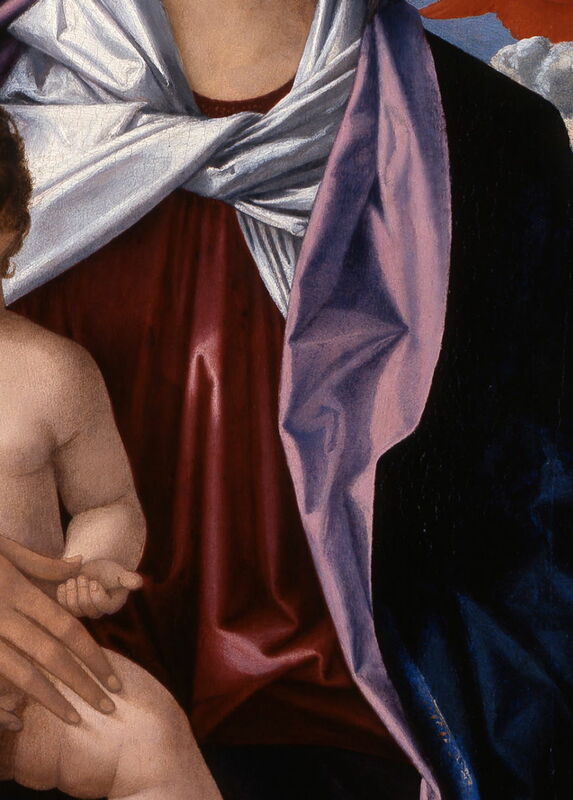 Although perhaps not by the hand of Bellini himself, Madonna and Child with Saint John the Baptist (c 1490-1500) is a good example of the fine modelling of textiles and textures without making brushstrokes apparent, as shown in the detail below. Giovanni Bellini (c 1430–1516) (workshop of), Madonna and Child with Saint John the Baptist (detail) (c 1490-1500), tempera and oil on wood, 76.2 × 58.4 cm, Indianapolis Museum of Art, Indianapolis, IN. Wikimedia Commons. This painting still clung to the remains of the tempera tradition, in using both egg tempera and oils, but otherwise follows the Northern Renaissance approach in modelling textures and their highlights, as detailed by Gombrich (1976). Seeing changes in the technique used by Raphael, for example, Dunkerton et al. 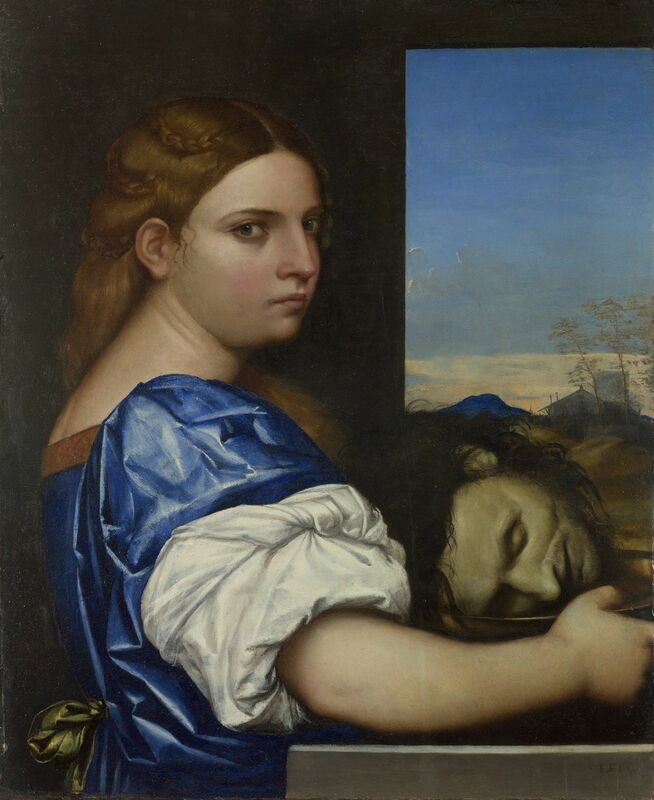 suggest that these could have resulted from his contact with Sebastiano del Piombo (1485–1547), from 1511. Sebastiano del Piombo (1485–1547), The Daughter of Herodias (1510), oil on panel, 55.2 x 44.9 cm, The National Gallery, London. Wikimedia Commons. 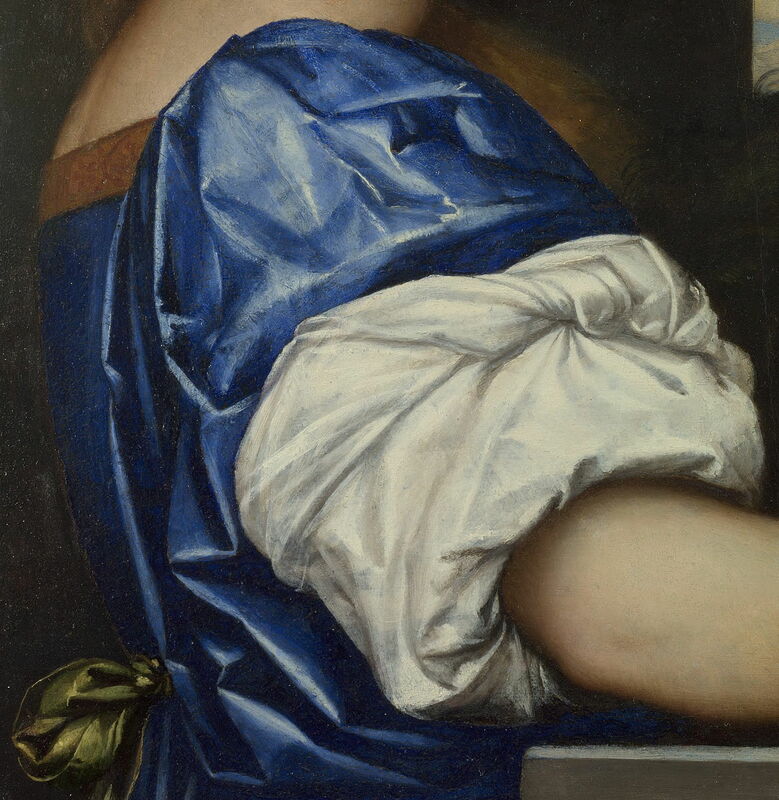 Del Piombo’s The Daughter of Herodias (1510) is a good example of his free handling of paint, shown clearly in its detail (below), which contrasts well with the Bellini above. Sebastiano del Piombo (1485–1547), The Daughter of Herodias (detail) (1510), oil on panel, 55.2 x 44.9 cm, The National Gallery, London. Wikimedia Commons. 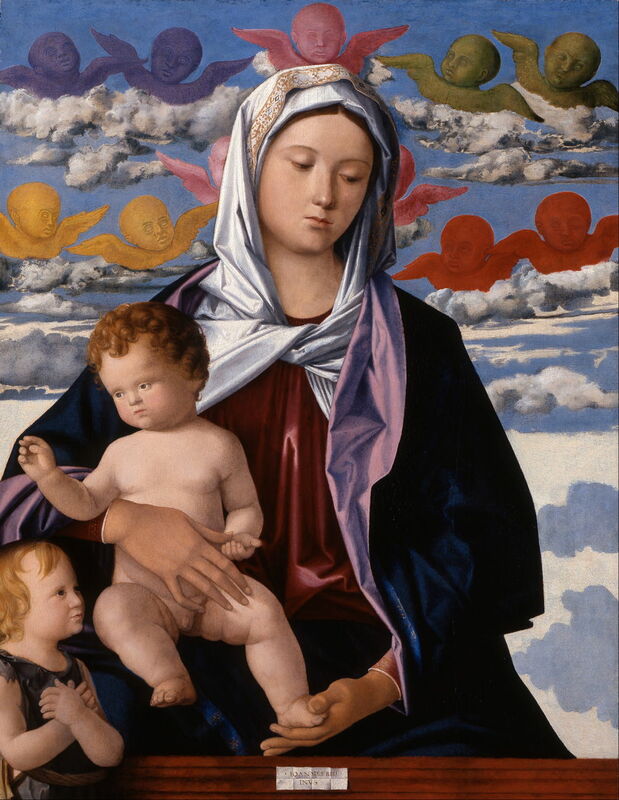 However, del Piombo was a Venetian, and it would be easy to suggest that he simply introduced some non-Venetian painters to his bold, colourful and painterly style when he arrived in Rome in 1511. 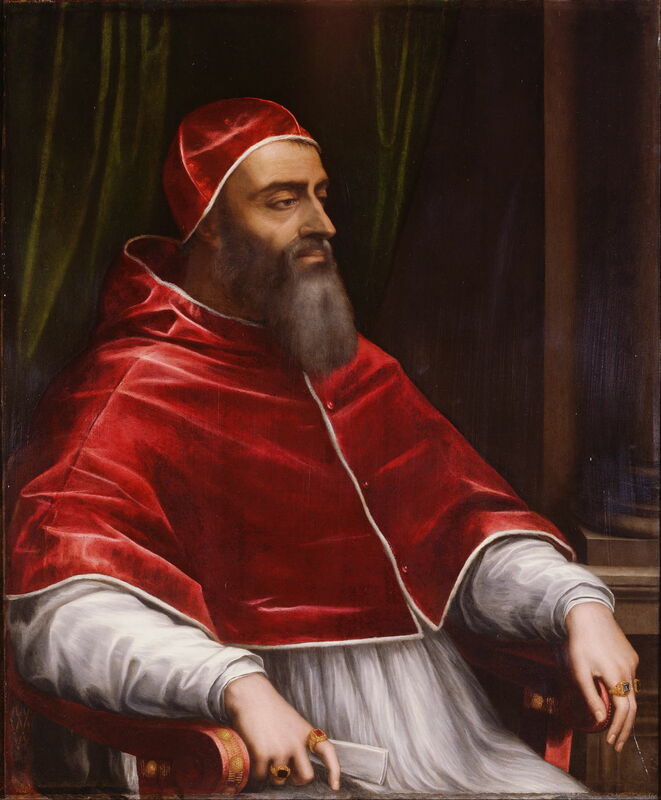 Sebastiano del Piombo (1485–1547), Pope Clement VII (c 1531), oil on slate, 105.4 x 87.6 cm, The J. Paul Getty Museum, Los Angeles, CA. Wikimedia Commons. 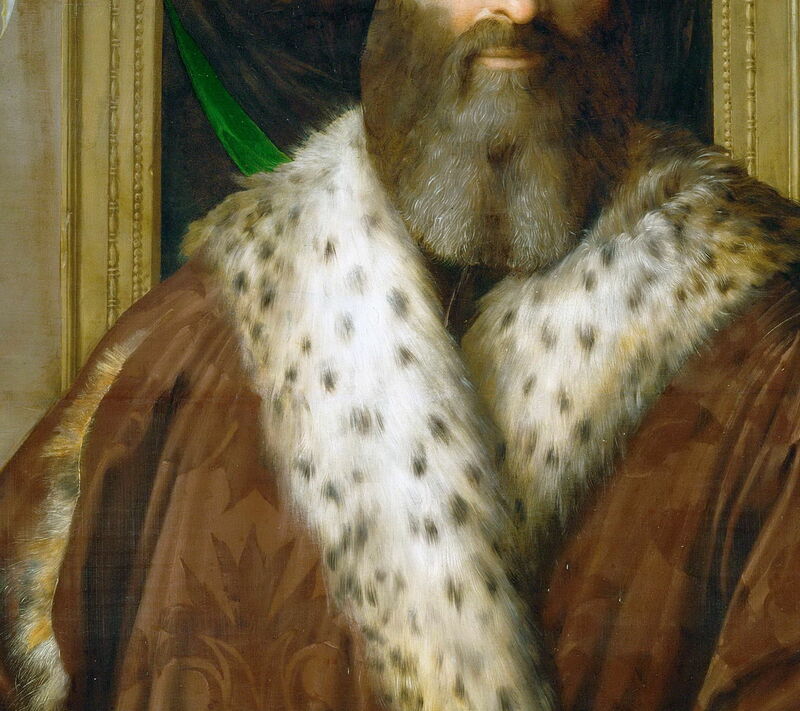 Certainly del Piombo did not lose his painterly panache with time: this portrait of Pope Clement VII (c 1531) is rich in marks, as seen in the detail below. 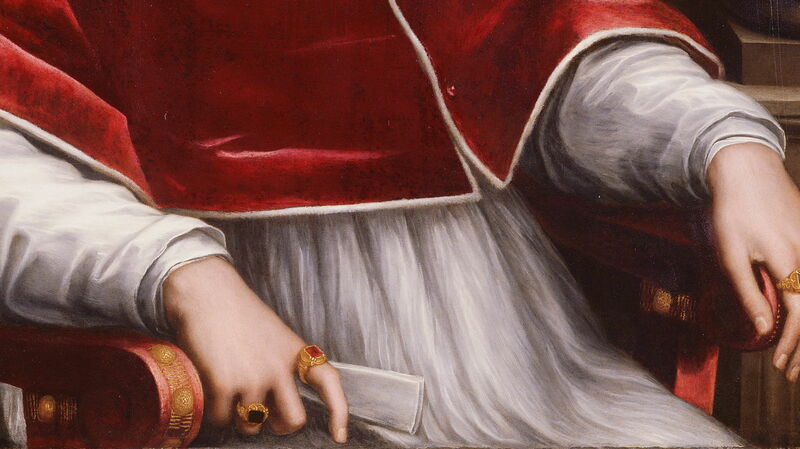 Sebastiano del Piombo (1485–1547), Pope Clement VII (detail) (c 1531), oil on slate, 105.4 x 87.6 cm, The J. Paul Getty Museum, Los Angeles, CA. Wikimedia Commons. 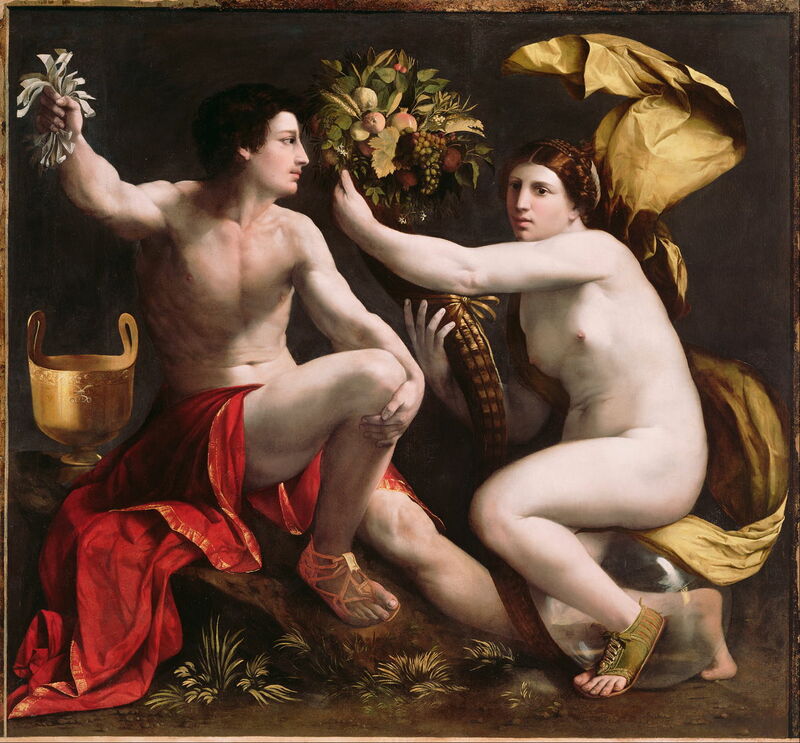 Dosso Dossi (Giovanni di Niccolò de Lutero) (1490–1542), Allegory of Fortune (c 1530), oil on canvas, 179.1 x 217.2 cm, Getty Center, Los Angeles, CA. Wikimedia Commons. But explaining away brushstrokes in the work of Dosso Dossi (1490–1542) as being merely the result of Venetian influence is more difficult. His Allegory of Fortune (c 1530) may look impeccably smooth, but as the detail below shows, it is here that the vegetation, rather than fabrics, is formed from brushstrokes. I should draw attention to the fact that this work is on canvas, unlike the others shown in this article, but of course you cannot explain that vegetation away from the difference in support. Dosso Dossi (Giovanni di Niccolò de Lutero) (1490–1542), Allegory of Fortune (detail) (c 1530), oil on canvas, 179.1 x 217.2 cm, Getty Center, Los Angeles, CA. Wikimedia Commons. 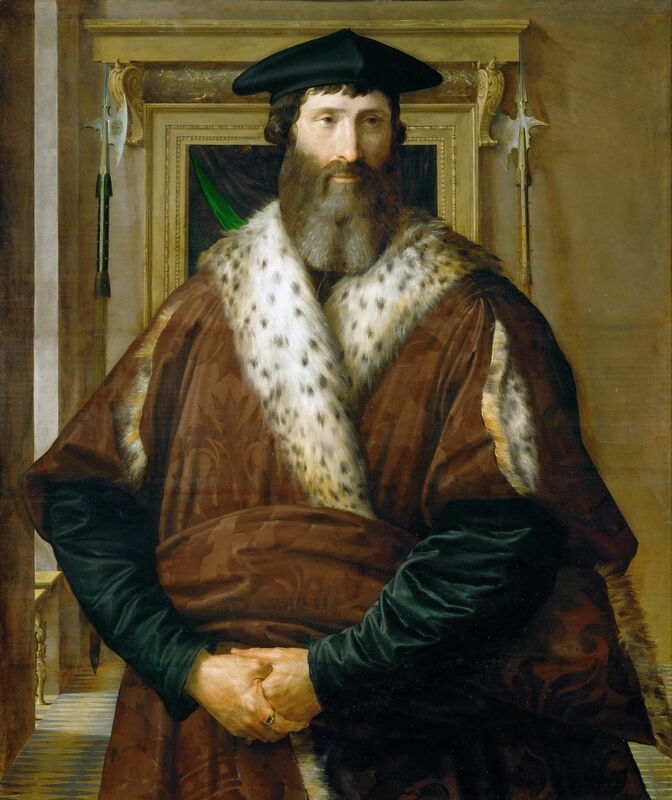 Dosso Dossi was Ferraran, and his only contact with Venetian painting appears rather tortuous: he worked frequently with his brother Battista, who in turn had trained in Raphael’s workshop in Rome, probably between 1517-20, after its influence by del Piombo. Perhaps painterly style was highly contagious after all. Dunkerton et al. also cite the Ferraran painter Ortolano (born c 1480), although he too was apparently influenced by Raphael. 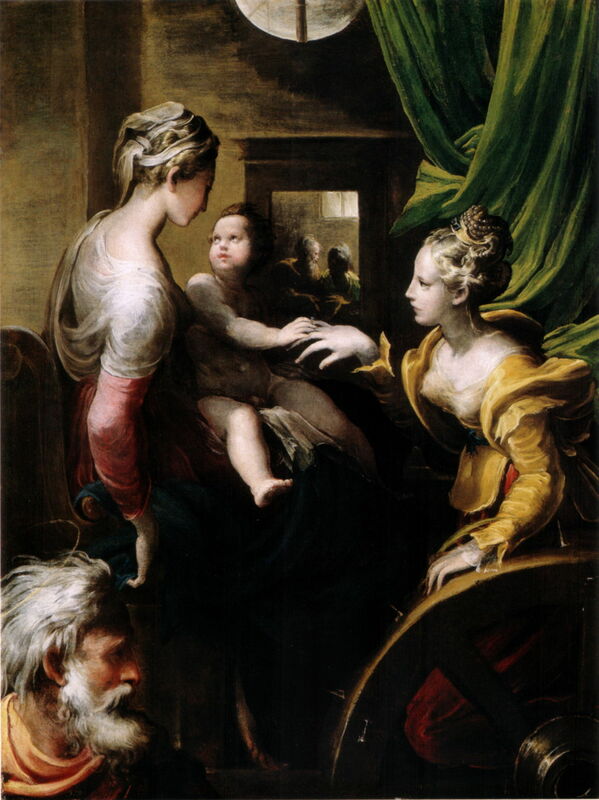 My final examples come from Parmigianino (1503–1540), who was active in Florence, Rome, Bologna, and Parma (his home town). Parmigianino (1503–1540), Portrait of a Man (Condottiere Malatesta Baglioni?) (c 1527-8), oil on poplar wood, 117 x 98 cm, Kunsthistorisches Museum, Vienna. Wikimedia Commons. Parmigianino’s Portrait of a Man (perhaps Condottiere Malatesta Baglioni?) (c 1527-8) shows the extensive use of marks in the depiction of hair, both in the fur trimming and the man’s beard, as seen in the detail below. Parmigianino (1503–1540), Portrait of a Man (Condottiere Malatesta Baglioni?) (detail) (c 1527-8), oil on poplar wood, 117 x 98 cm, Kunsthistorisches Museum, Vienna. Wikimedia Commons. Brushstrokes are even more apparent in his The Mystic Marriage of Saint Catherine (c 1527-31), seen above and in detail below. Dunkerton et al. also attribute a movement of painterly techniques to northern Europe with Maarten van Heemskerck (1498-1574), who was in Rome from 1532-6, and returned to Haarlem. They accept that Pieter Bruegel the Elder appears not to have been so influenced during his travels in Italy in 1552-5. It remains hard to determine whether the painterly application of oil paint was a Venetian phenomenon in its origins, but it certainly spread through Italy in the early sixteenth century, and to a more limited degree into northern Europe. Oil paint was the first painting medium which was capable of modelling texture by its properties. It was inevitable that sooner or later, painters in oils would start to explore how they could use the properties of the paint layer, and the way in which it was applied, to model the surface textures of fabrics, in particular. In some ways it might seem strange that there appears to have been relatively little experimentation of this kind. Inevitably our view is greatly influenced by those few paintings which have survived the centuries, and may not be representative of what was attempted at the time. I hope that these paintings have shown that some artists, even from the early days of oil painting, were not content with a Salon-smooth finish to their works. Dunkerton J, Foister S & Penny N (1999) Dürer to Veronese, Sixteenth-Century Painting in the National Gallery, The National Gallery Company and Yale UP. ISBN 978 0 30007 220 4. Gombrich, EH (1976) The Heritage of Apelles, Studies in the Art of the Renaissance, esp. Chapter 2, Phaidon. ISBN 0 7148 1708 2. Salomon, XF (2014) Veronese, The National Gallery Company and Yale UP. ISBN 978 1 85709 553 1. Posted in General, Painting and tagged Bellini, brushstrokes, del Piombo, Dossi, gesture, mark-making, painting, Parmigianino, Raphael, Venice. Bookmark the permalink.